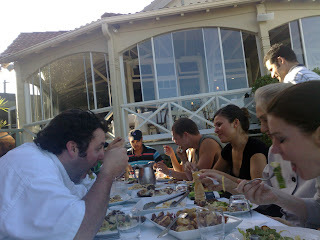 Pilu at Freshwater: Finally some new pics! This is a new menu item. 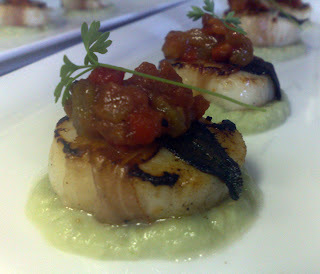 Seared scallops, wrapped in sage and pancetta on fennel puree, and tomato and white anchovy salsa. 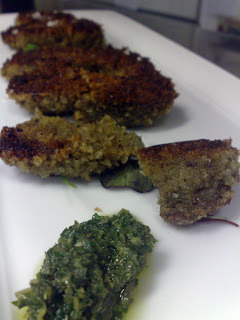 These are some fresh porcini mushrooms, which we herb crusted and pan fried, served with a little salsa verde. 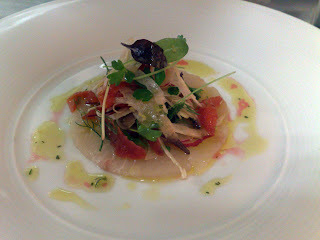 Kingfish crudo, salad of blood orange, shaved fennel and radish. 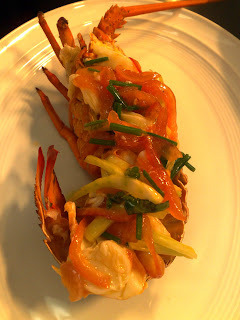 Fresh local lobster, served "Catalan style". 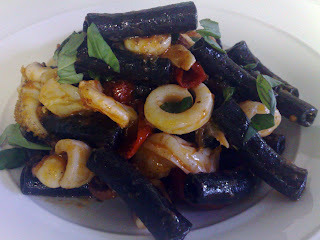 99% of all our pasta's are made at pilu, this one is a squid ink rigatoni, with prawns, baby occy, squid and scallops. semi dried tomato and shredded basil sauce. 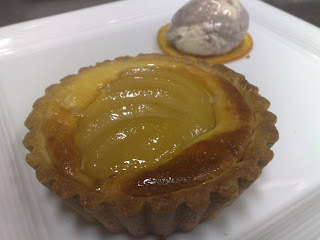 Baked ricotta and poached pear tartlet, with mirto rosso gelato. 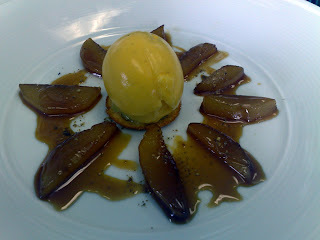 Caramelized white peaches, deglazed with moscato and served with mango gelato. 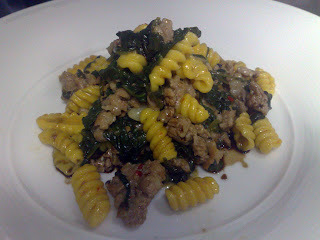 Saffron gnocchetti sardi, hand cut pork sausage meat, baby spinach and aged balsamic. In action. 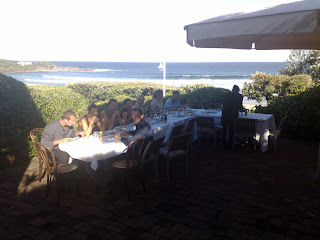 Staff meal at pilu! Notice all chefs are long gone! haha. 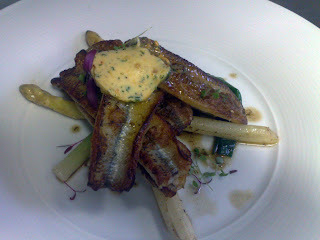 Pan fried garfish with sauted white asparagus, baby leeks and sea urchin butter. 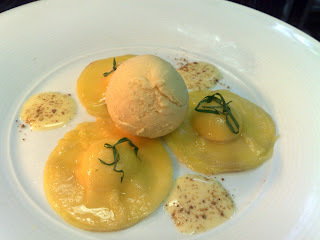 Mango ravioli's filled with passionfruit curd. Mango gelato and lemon balm. 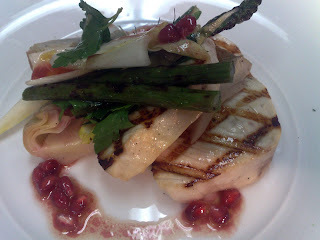 Ulladulla swordfish, with pommegranate dressing, globe artichokes, grilled baby asparagus and witlof. 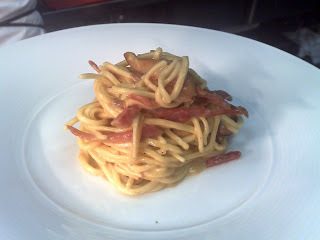 Tonnarelli with crispy prosciutto, porcini and pecorino.